Serving discerning wealthy and famous visitors at the healing spas of Merano for over a century, this centrally located hotel which partners the spa, offers beautiful Art suites that combine comfort, art and lifestyle. A place where hospitality and art seamlessly intertwine. 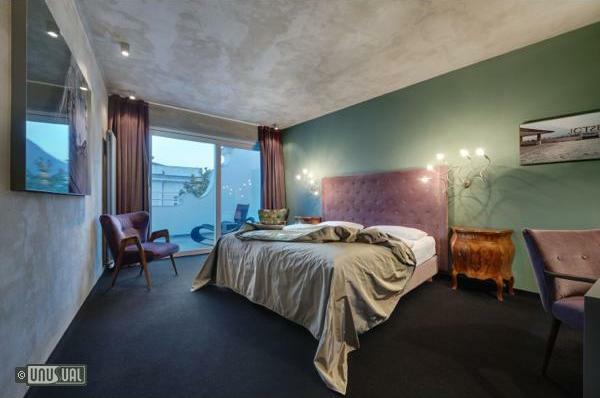 The minimum price of EUR 192,00 is for the Galaxy room for 2 persons, including breakfast buffet in the trendy & urban CoffeeArt Imperial, free internet in the room (wireless), 1 bottle of Merano mineral water, and the VIP access to thermal bath (100 meters next to the hotel). The transformation into the Designhotel Imperial Art was completed in summer 2010 to create 12 rooms, whose equipment meets international standards. In addition, there is a noteworthy café with home-made cakes and pastries. 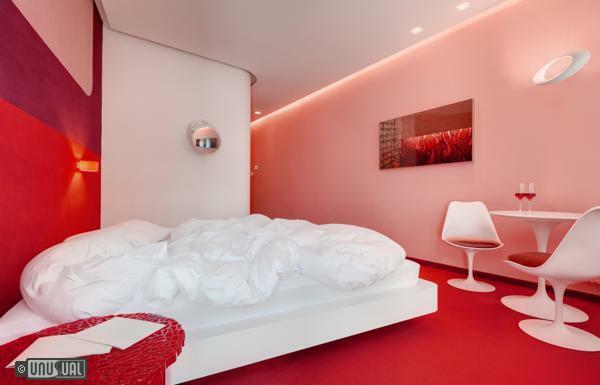 Start by choosing your favourite art suite, created by Elisabeth Hoelzl, Marcello Jori und Ulrich Egger. 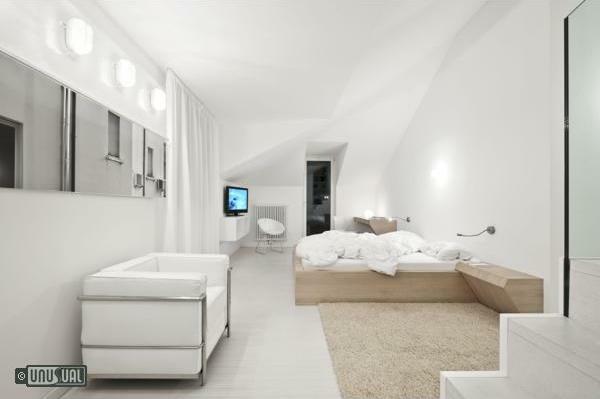 These bright and elegant suites are situated in the 4th floor. 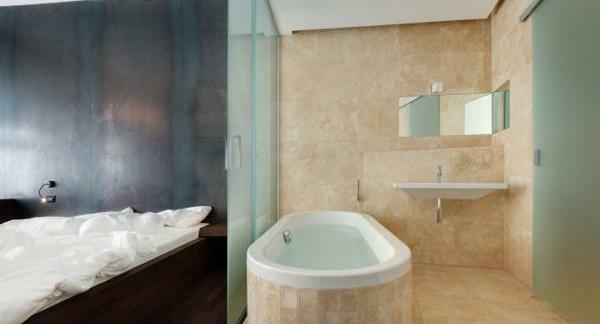 The special highlight is the spa bath on the panorama terrace. 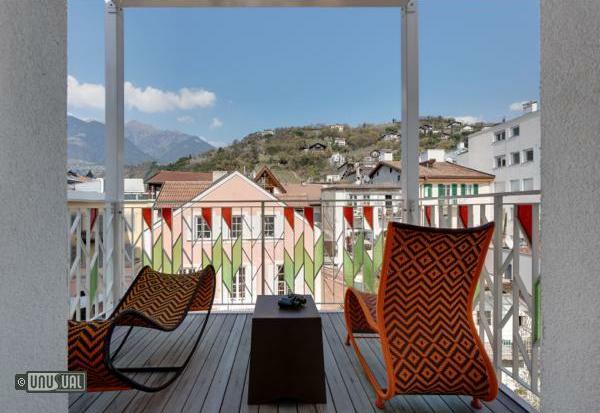 The terrace faces south and offers views of the impressive Merano surroundings. The dignified and beautiful accessories make this suite elegant and cosy, both at the same time. The rooms all have excellent features as standard: minibar with a individual choice of South Tyrolean products, ETRO bath products, telephone, flat tv with radio, spa bag with a cosy bathrobe, bath towel and slippers. Enjoy staying in extremely beautiful surroundings created by Merano artists with every comfort: balcony (except roomt 23), minibar with a individual choice of South Tyrolean products, ETRO bath products, telephone, flat tv with radio, spa bag with a cosy bathrobe, bath towel and slippers. You'll have a luxurious sleep - and living room with an extremely beautiful and elegant bathroom with bathrobe and extra shower, a separate WC. The room standards: minibar with a individual choice of South Tyrolean products, ETRO bath products, telephone, flat tv with radio, spa bag with a cosy bathrobe, bath towel and slippers. 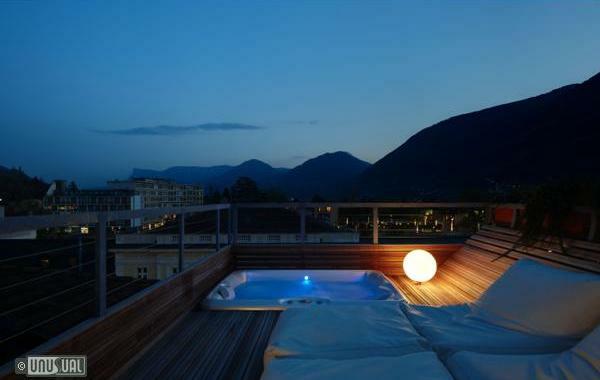 VIP access to the famous Merano Thermal baths designed by Matteo Thun is included in room prices. The baths are 200m from the hotel. Although the hotel doesn't have a restaurant they have a prestigious coffee house with a signaure South Tyrol Coffee “Schreyögg”, snack bar with sandwiches and cold snacks. The favourite aperitif in the bar is the famous “Hugo” with Prosecco, fresh mint, lemon squeeze and elder syrup. NEWS: THERMAL BATH OF MERANO INCLUDED! 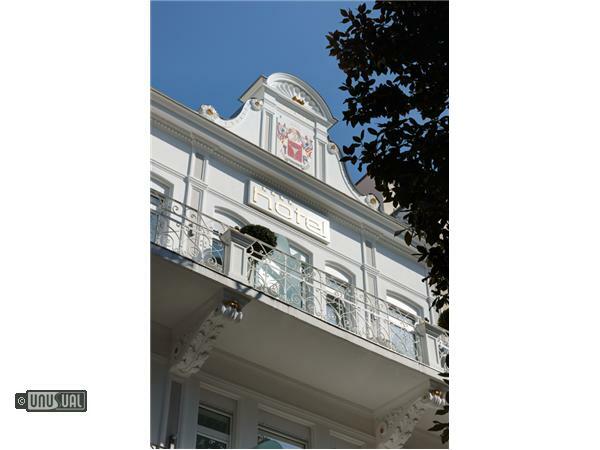 The Boutique Hotel ImperialArt**** is a premium partner of the Thermal Baths. Whenever guests chose to go to the Thermal Baths they can get a PREMIUM entry ticket at the hotel reception and can enter the baths without waiting in line. Moreover guests can leave and reenter the baths whenever they wish, which allows guests to visit the thermal baths more than once a day. Merano is a lovely city in the north of Italy, in South Tyrol, on the northwest side of the regional capital Bolzano. With its pleasant Mediterranean climate in the middle of the mountains it has become one of the most well known holiday destinations in the South Tyrol. Enjoy the advantages of a small, yet select town, where the daily agenda includes not only shopping, but also cultural and sporting events, including musical highlights such as the Merano Music festival in the Autumn.